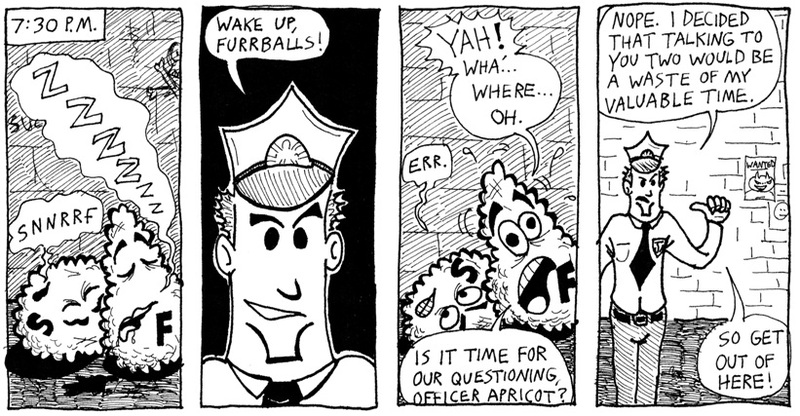 Fuzzball & Scuzzball - Officer Apricot Unleashed! Comic 46 - Officer Apricot Unleashed! The wanted poster in the last panel shows a picture of Goomra, the giant monster from my comic "Beware . . . Goomra! ", which you may have seen if you've looked through the papers in my closet. Other than that, I'm afraid it hasn't been available in many venues.